Super Bowl 53 brought the Los Angeles Rams and the New England Patriots together in Atlanta. While families and friends around North America are diving into junk food and adult beverages watching each play, some of the biggest studios in the business are dropping huge trailers and TV spots for their upcoming projects. It's an exciting time for sports fans and movie fans, with some even looking forward to the commercials more than the actual football game. Expect some pretty big surprises during the game and during the highly anticipated commercial breaks. Getting a 30-second commercial spot for the Super Bowl is relatively simple, you just have to have the dough to pay for it. According to Bloomberg, a 30-second spot is going for $5.2 million for this year's big game, which is pretty amazing and means that anything over a minute is going to cost over $10 million. Over the last ten years, the price for a 30 second spot has doubled. Ads for first Super Bowl in 1967 went for $37,500 per spot, which was still a decent chunk of change back then. However, Super Bowl ads have taken on a life of their own over the years. While the Super Bowl is able to bring millions of viewers, a lot of the commercials, TV spots, and trailers draw just as many viewers. This means that dropping a 30-second spot for Universal's Hobbs & Shaw is a wise idea. Dwayne Johnson revealed that a trailer would air during the big game and released the first trailer on Friday. Putting the movie in front of football fans is the perfect way to let Fast and Furious fans, who might not be online frequently, know that the movie is arriving this summer. Disney doesn't really need to utilize the Super Bowl for the millions of viewers, but they decided to get in on the fun anyway, which should make some fans pretty happy. 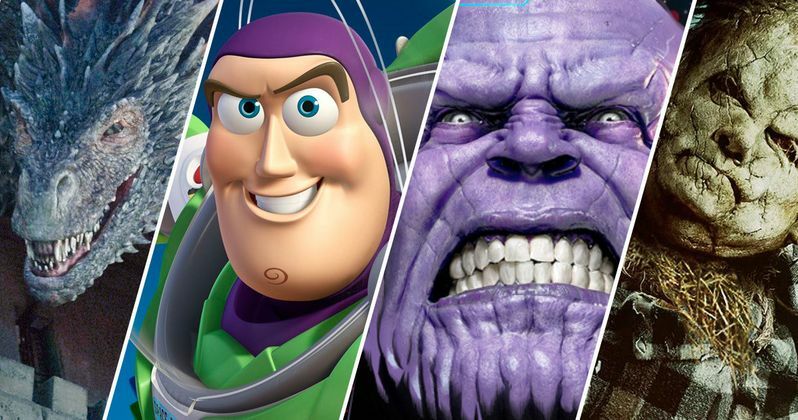 Toy Story 4 is set to debut a TV spot after the big game and we'll have it below for your viewing pleasure as soon as it's released online. It has been revealed that 90% of the ad space for the Super Bowl was sold earlier this week and that the rest was sold before this weekend, meaning that most of the studios had to have everything on lock well in advance. It's been estimated that over 100 million people are tuning in to Super Bowl 53, so paying a little over $5 million isn't too bad of price to get a movie or TV show that much exposure, especially if you're Disney. As the game continues, make sure to keep checking back to see the updated trailers and TV spots released by the studios. Marvel Studios couldn't stay away from the Super Bowl this year. Avengers: Endgame doesn't need any help in the promotion department, but thankfully, they felt like giving Marvel Cinematic Universe fans something to cheer about. As with the first trailer, we're still in the dark, fans are plenty happy just have something new to dissect. Captain Marvel is just a little over a month away from hitting theaters and Marvel Cinematic Universe fans are starting to get a little impatient. Everybody is excited to see Carol Danvers' MCU debut and wondering how she will fit in. Fans are also very curious to see how the movie will show off Goose the Cat. Guillermo del Toro's Scary Stories to Tell in the Dark wrapped filming late last year and fans of the children's horror book series have been waiting years to see a big screen adaptation. The first footage reveals that the movie is going to stay close to Stephen Gammell's iconic imagery and it looks great. The first poster was released on Friday and it introduced us to a new take on Harold the Homicidal Scarecrow, which helped to build excitement for today's big reveal. Robert Rodriguez's Alita: Battle Angel has already had several promo spots released in the last handful of months. However, the cyberpunk action film based on Yukito Kishiro's manga Gunnm, looks amazing, so seeing a little bit more before it opens in theaters is a good thing. The movie hits theaters on Valentine's Day. Jordan Peele was revealed as the new host of The Twilight Zone reboot on CBS Access. The Twilight Zone spot begins with what seemingly is a return from commercial break to CBS' broadcast of the Super Bowl, but the feed blacks out, noting "CBS Is Off The Air." Moments later, viewers are brought back to the Mercedes-Benz Stadium - left eerily empty except for one man, Jordan Peele. The spot serves as fans' first sneak peek of Peele stepping into Rod Serling's iconic role, as host and narrator of The Twilight Zone. Jordan Peele gave horror fans a nice surprise before the big game today with the second trailer for Us. We were treated to the first trailer on Christmas day, and even with the latest one, it's still hard to tell what's really going to happen. Peele has promised that it's more horror-based than Get Out, which sounds about right after viewing this latest scary footage. Hobbs & Shaw is aiming to be Universal's late summer box office smash. After looking at the trailer and the TV spot, they'll more than likely get their way. Dwayne Johnson and Jason Statham are taking down Idris Elba's Brixton character, who has super powers, and it looks awesomely ridiculous. Hulu's massively popular The Handmaid's Tale is coming back for Season 3 and we were able to get a sneak peek today during the game. Hulu gave the Emmy-winning show a 30-second teaser trailer that looks just as oppressive and dark as the previous two seasons, which means that fans are going to be pretty excited. The stakes are higher than ever before with new threats emerging. Joe Pesci nails his line in the Home Alone Google Assistant ad. The legendary actor brought his acting skills to watch the Super Bowl and catches Macaulay Culkin's Google commercial, noting that he loves it. It's awesome to see him back, but it would have been even cooler to see him sitting with his old pal, Daniel Stern. This eight-part series, narrated by Sir David Attenborough, will explore the unique and precious wonders of our natural world from the creator of the award-winning series Planet Earth. In partnership with World Wildlife Fund, Our Planet combines stunning photography and technology with an unprecedented, never-before-filmed look at the planet's remaining wilderness areas and their animal inhabitants. The ambitious four-year project has been filmed in 50 countries across all the continents of the world, with over 600 crew members capturing more than 3500 filming days, and will focus on the breadth of the diversity of habitats around the world, from the remote Arctic wilderness and mysterious deep oceans to the vast landscapes of Africa and diverse jungles of South America.